You can’t really call your house a home if it doesn’t provide the comfort you and your family needs. This makes awnings a must-have feature for any home and outdoor living area. Well placed and quality awnings are a good way to add function and form to your landscaping while at the same time creating a smooth transition between the indoor areas of the house to patios or outdoor living areas in general. People will find no shortage in style, application and size when it comes to residential awnings. Some are aimed at eliminating glare on single windows and others run the whole length of buildings. If you are looking to invest in one, it would be best to consider matching its size to the outdoor area concerned to ensure that your awning is capable of providing you and your family with sufficient shelter in times of inclement weather. Better yet, plan the construction of decks and patios with the installation of residential awnings. 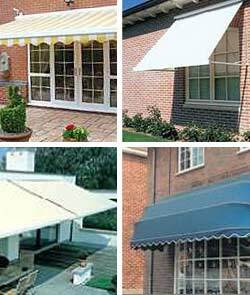 There are a number of things that you need to bear in mind when choosing the right residential awning for your need. For one thing, you need to decide if you’re going to opt for retractable awnings or a fixed one. Retractable awnings are an excellent idea if you live in an area where the weather tends to vary a lot. You can also choose between manual retractable awnings which you basically have to fold up yourself and motorized ones for the added convenience. Motorized retractable residential awnings are far more complex than fixed ones though in terms installation and maintenance (wiring concerns and moving parts). Still, with proper care and maintenance, such residential awnings can represent an excellent investment all the same. If you’re looking for great fixed or retractable residential awnings at the most competitive cost, you’ll do well to check out reputable manufacturers and service providers like Shutters Australia. When it comes to quality and affordable residential awnings you can count on Shutters Australia to deliver.